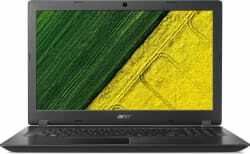 Buy Acer Aspire 3 Celeron Dual Core - (2 GB/500 GB HDD/Linux) A315-31 Laptop Online For Rs.20500 , Also get Acer Aspire 3 Celeron Dual Core - (2 GB/500 GB HDD/Linux) A315-31 Laptop Specifications & Features. Only Genuine Products. 30 Day Replacement Guarantee. Free Shipping. Cash On Delivery!